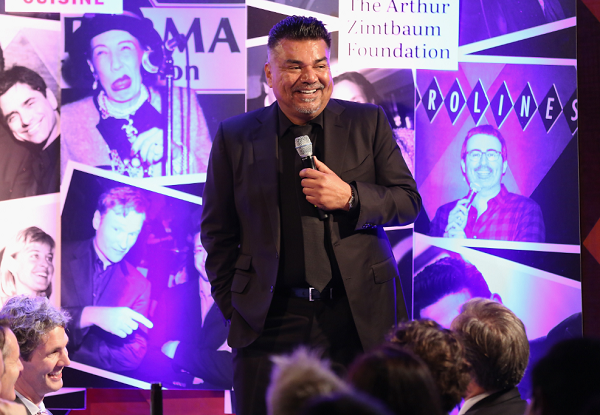 In a video published by TMZ, comedian George Lopez can be seen pretending to urinate on President Trump’s star on the Hollywood Walk of Fame — with the help of a water bottle. Lopez was in Hollywood Tuesday, and after speaking with fans, he decided to “pretend” to relieve himself. In the footage, Lopez, 57, clad in a black suit and tie, can be seen telling a man to record him from behind. He then tilts the bottle forward and empties it as he leans his head back. The prank, however, is receiving major backlash. Law enforcement in Los Angeles has received a slew of calls and emails from citizens ticked about George’s “sick, deplorable, offensive and disrespectful” act. However, police say it’s just a prank and no crime was committed. George Lopez has never played coy when it comes to his feelings towards President Donald Trump….